Here's a quick and dirty table describing a pixter multimedia game cartridge that didnt use Chip On Board technology. Hopefully I (or someone else) will clean it up later. NAND MEMORY ('rom'): Matrix Memory 11247-01 http://www.matrixsemi.com/products-and-applications/documents/DS0043DMTSOPR1.11_062405.pdf Note that the PDF is a different part number. It was chosen because its the same product line and likely has the same pin interface. This is the same IC used in the JuiceBox. 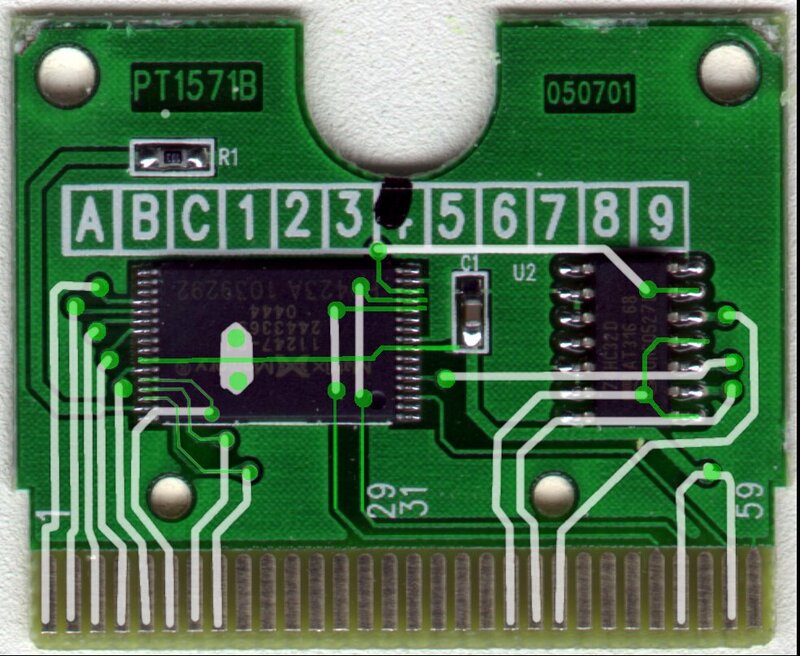 * I'm honestly confused about these; prpplague pinned the Pixter Expansion Slot without any knowledge for pin1 from the hardware, and had to guess pin numbers. This page was last edited on 29 August 2007, at 14:19.